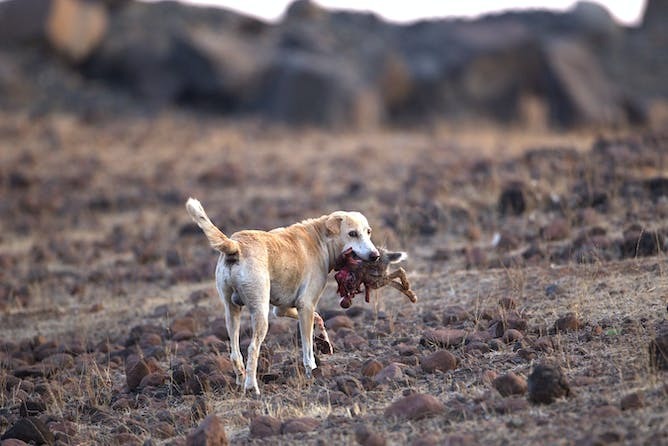 A dog with a black-naped hare, Maharashtra, India. Hari Somashekhar/Facebook. 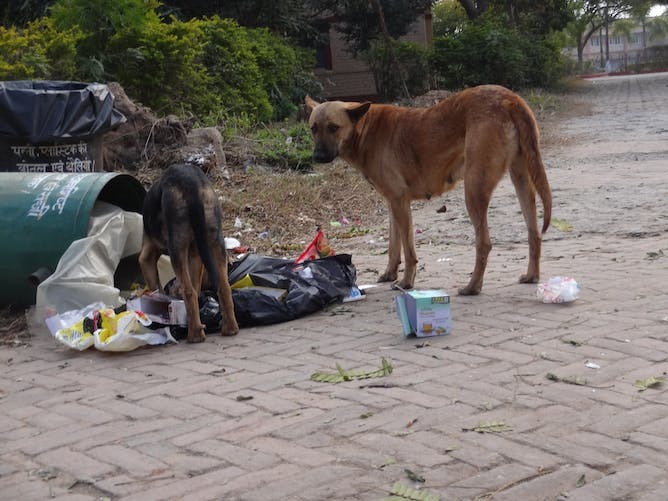 Street dogs scavenging food waste in India. Achat1234/wikimedia.